Welcome to the pencil pet portrait of Sika. 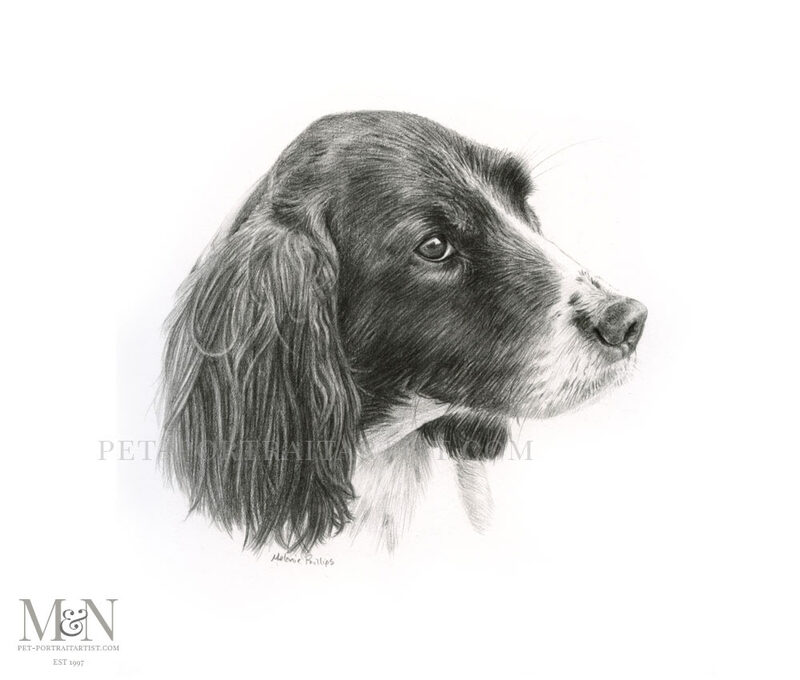 My client Nick contacted me to ask if I would be able to draw a pencil portrait of their spaniel Sika. It was to be a gift for his sister Jessica. Nick had one photo that he particularly liked that captured Sika well. It was perfect for a pencil drawing. Photos are key for a good quality portrait. I need to see fur detail and the ears in particular need to be clear and in focus. Thankfully Sikas photo was perfect. My client Nick and I debated on whether to have the drawing landscape or portrait orientation. We opted for landscape. The drawing is a 12 x 10 however I left quite a bit of paper around the edge. This enabled Jessica to have plenty of choice with the shape of the overall mounted drawing when taking it to the framers. I always like to leave that little bit of extra room around the edge, there is always plenty of paper around the edge for this reason. Sika was been a real pleasure to draw and I always have a soft spot for spaniels! Spaniels are one of my favourite breeds to draw, they have such expressive eyes and their coats are always unique! I hope that you like the pencil pet portrait of Sika too!